At Islington Acupuncture we aim to treat your digestive issues using a mix of acupuncture and Chinese dietary advice to bring you long term benefits. Chinese dietary therapy does not suggest complex diets, but helps to identify a way of eating that suits your particular body type or constitution. These conditions have very different presentations, but are linked because they are problems of the nervous system. Acupuncture cannot turn around longterm conditions such as MS and Parkinson’s, but it can be useful in their management. What causes IBS and how does acupuncture help? Bouts of diarrhoea and/or constipation. Acupuncture can have an affect to reduce the effects of stress hormones and therefore ease gut oversensitivity. It can also reduce muscle contraction in the gut walls, leading to a reduction in bloating and pain. At our first consultation, we talk though your specific issues, how long they’ve been going on and when they first started (often for many years on and off). We will take a detailed case history including other aspects of general health and well-being. We will make a note of any medication you are taking, and ask about your diet. Once your acupuncturist has established your particular constitutional patterns, they will tell you how they think acupuncture might help you, and give you advice about diet based on Chinese dietary advice. Chinese dietary advice does not suggest complex exclusion diets, but helps to identify a way of eating and drinking that suits your particular body type or constitution. This helps to achieve long lasting healthy weight loss. These chronic inflammatory diseases of the intestines tend to have flare up and remissions. Acupuncture can be used at any stage and is safe to use alongside western medical treatment. 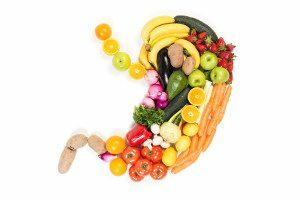 At our first consultation, we talk through your digestive and weight issues and identify what is concerning you. Chinese dietary advice does not suggest complex exclusion diets, but helps to identify a way of eating and drinking that suits your particular body type or constitution. This helps to achieve long lasting healthy weight loss (or gain if that’s your problem). Acupuncture supports dietary therapy by working to stimulate healthy digestion. Research has found that acupuncture can help to reduce cramping in the muscles of the gut wall, thereby promoting healthy peristalsis (gut movement). It can also reduce the over sensitivity of the gut to stress hormones, one of the causes of bloating and diarrhoea. During our consultation, we can discuss your diet and relationship with food and consider the form of treatment that will support you and help you to reach your goal. Around 100,000 people in the UK have MS. It is an autoimmune disorder of the central nervous system that usually has a relapsing-remitting pattern. Over years, it typically leads to a progressive phase of permanent and increasing disability. About 10–15% of patients have progressive symptoms from the outset, with no relapses and remissions (primary progressive disease). Some patients have a relatively benign form of the disease with no significant disability for many years. The underlying pathogenic mechanisms in MS appear to involve inflammation and axon degeneration. Physical symptoms of MS commonly include vision problems, balance problems and dizziness, fatigue, bladder problems and stiffness and/or spasms. It can also affect bowel function, speech and swallowing, and cognitive function. Conventional treatment includes disease-modifying drugs, physiotherapy and dietary modification. There has been very little clinical research investigating the effects of acupuncture on MS, although there are some good word of mouth reports. These are some ways in which acupuncture might help with the management of MS. Modern scalp acupuncture has developed the use of channels specifically for the treatment of MS. Stimulating the nervous system to release neurochemical messenger molecules. Reducing numbers of inflammatory and CD4 T cells. Promoting NT-3 (a protein growth factor that supports neuronal survival). Acting on areas of the brain known to reduce sensitivity to pain and stress. Improving muscle stiffness and joint mobility by increasing local microcirculation. Parkinson’s disease is loss of dopamine-containing cells in the brain leading to the typical symptoms of rigidity, tremor and postural instability. At present, there are no proven neuroprotective therapies; only symptomatic treatments are available. These include drug therapy such as levodopa and dopamine agonists, MAO-B inhibitors and COMT inhibitors, surgery and physiotherapy. 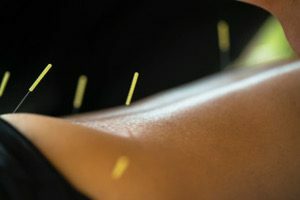 Two systematic reviews found evidence that acupuncture may be effective for treating Parkinson’s disease, but also concluded that more high quality studies are needed to confirm this. Also, adjunctive acupuncture has been found to improve the therapeutic effect of drugs alone. These studies also suggest that regular acupuncture could allow lower doses of medication to be used, and hence fewer side effects. These symptoms are usually restricted to the thumb, index, middle and ring fingers, but may affect the little finger and/or the palm as well. They usually occur at night, often waking the patient from sleep, but can be relieved within a few minutes by shaking the hand. Pain sometimes radiates up the forearm as far as the elbow, and even as high as the shoulder or root of the neck. Symptoms may recur during the day when the hands are used for carrying things, and for activities that involve holding them up, such as driving or using a keyboard. It’s more common in women than in men, and is often comes on during pregnancy. Current standard treatment options are splinting, local corticosteroid injections and surgery. Research findings for the effects of acupuncture on mild to moderate carpal tunnel syndrome are encouraging as compared with steroid treatment and splinting. During your first session your acupuncturist will take a detailed case history with the aim of working holistically. This involves looking at your general health and possible deeper causes of the problem in terms of Chinese medicine (e.g. fluid circulation), not simply treating pain at the wrist.